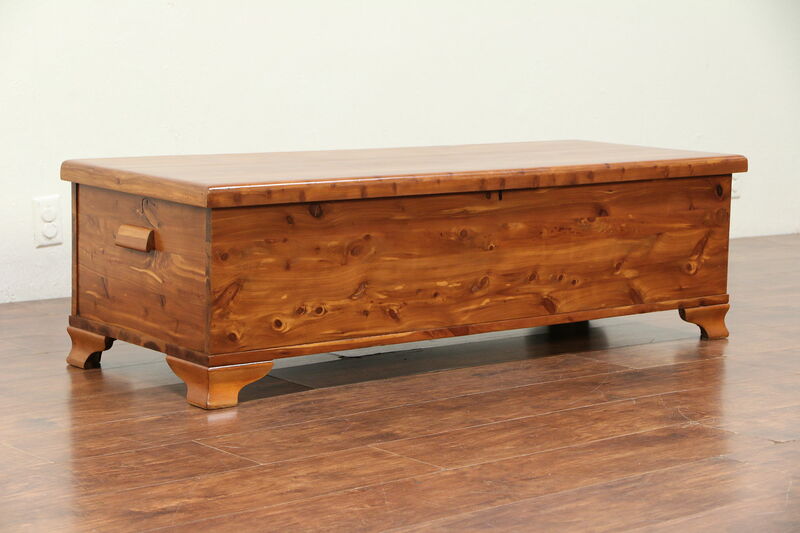 A solid cedar blanket chest or trunk could be a window or foot of the bed bench as well, and dates from about 1950. The restored satiny finish is in excellent condition on this American made vintage furniture. Block feet are well proportioned. There is no key to lock this chest. Size is 54 1/2" long, 20" deep and 17" tall.